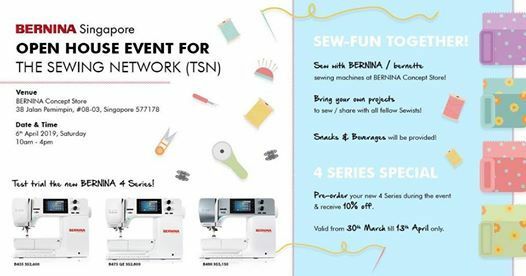 BERNINA first open house event for The Sewing Network (TSN)! 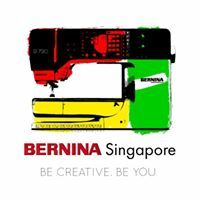 More updates will follow soon! 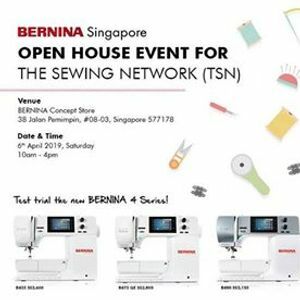 (We will share the event details of what will be happening between 10am-4pm, on April 6th). Snacks & Beverages will be provided. It will be halal certified.